At Crestron, we build technology for every space from commercial to residential, educational to entertaining. We create solutions that are simple, effective, reliable and secure. All designed to put technology at the service of our customers. Connecting people wherever and however they learn, work, play and live. Crestron has been at the forefront of cutting-edge technology for over 40 years, constantly offering better solutions for customers the world over. Simple. Sleek. The new Crestron UC Smart Soundbars are front of the room solutions with exceptional audio and image quality that bring out the best in every meeting, in any size room, with a single USB connection. Crestron control displays and presentation systems are key elements in this revamp of a design company's headquarters in Minneapolis. Different technology areas of the building are able to talk to one another and interact via Crestron control systems. A control center powered by Crestron touch panels receives the images and audio from those rooms, and can control the pan, tilt, and zoom functions of the cameras. 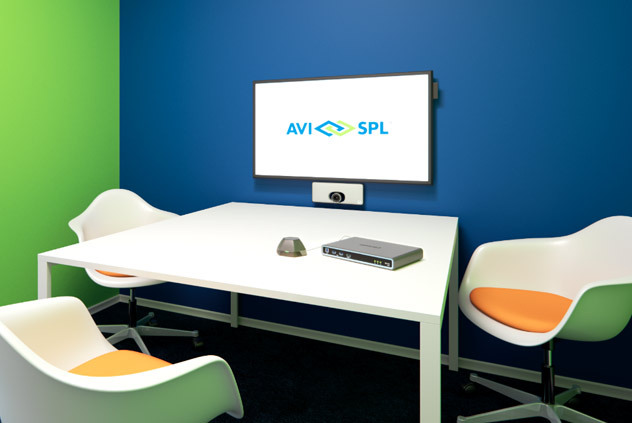 AVI-SPL and Crestron work together to transform ideas into great customer experiences. Crestron’s award-winning solutions are integral to the daily operations of nearly every Fortune 500™ company, hundreds of universities, hotels, healthcare facilities, and government agencies. Shaped by more than four decades of innovation, Crestron solutions help companies maximize return on investment, improve communications and productivity, standardize technology, and redefine guest experiences. Crestron Flex UC Solution with native Teams. Deliver one experience from desktop to boardroom. DM NVX Network AV with Pixel Perfect Processing. Every picture perfect every time. FT2 FlipTops – complement modern decor, keep the table neat, & make it easier start meetings. UC Smart Soundbars for any room and any platform. Just connect via USB.